Casaletto is an Urban Forester at Our Kitchen Table (OKT), a nonprofit organization focusing on food and social justice for low income neighborhoods. 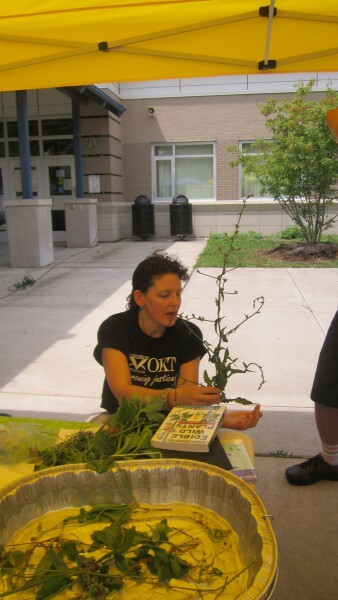 She often leads walks through Grand Rapids parks and works to educate the community on the benefits of eating directly from nature. Casaletto sees urban foraging as part of a larger picture of nutrition. OKT will host an edible plant walk at Garfield Park on April 22, to coincide with Earth Day. The walk is free and open to the public.